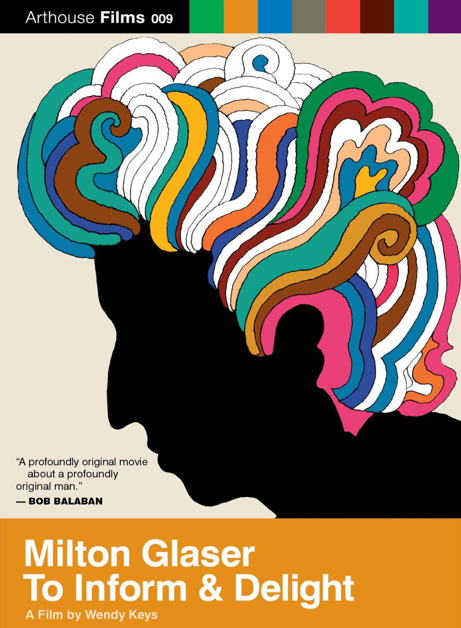 A film, now out on DVD, shows how Milton Glaser, one of the most famous living graphic designers, has "informed and delighted"
Milton Glaser is one of the greatest graphic designers alive today, and a longtime favorite around here. From his iconic I ♥ NY logo to his prolific newspaper and magazine designs, logos, brand identities, posters, and other celebrated visual ephemera, Glaser is as revered for his exceptional visual output as he is for his thoughtful reflections on the role of design at large. His work, equal parts playful and poignant, explores the intersection of form and light to inform and delight, these being the purpose of art as defined by Ancient Roman poet Horace. That's the inspiration behind the title of the fantastic 2008 documentary Milton Glaser: To Inform & Delight, a remarkable debut by first-time filmmaker Wendy Keys. The film, now out on DVD, iTunes, and Amazon Instant Video (free for Amazon Prime members, bless), offers an unprecedented glimpse of the ordinary moments of Glaser's personal life, his creative process, and the cross-pollination between the two, revealing the genuine humility, warmth, and extraordinary intelligence of a modern-day Renaissance man.